Stieglitz, a great promoter of Modernism in America and an advocate of photography as art, began pointing his camera skyward in 1922. His images of evanescent clouds were meant to express his own fleeting emotional states and reflect the dynamism of a world in constant flux. 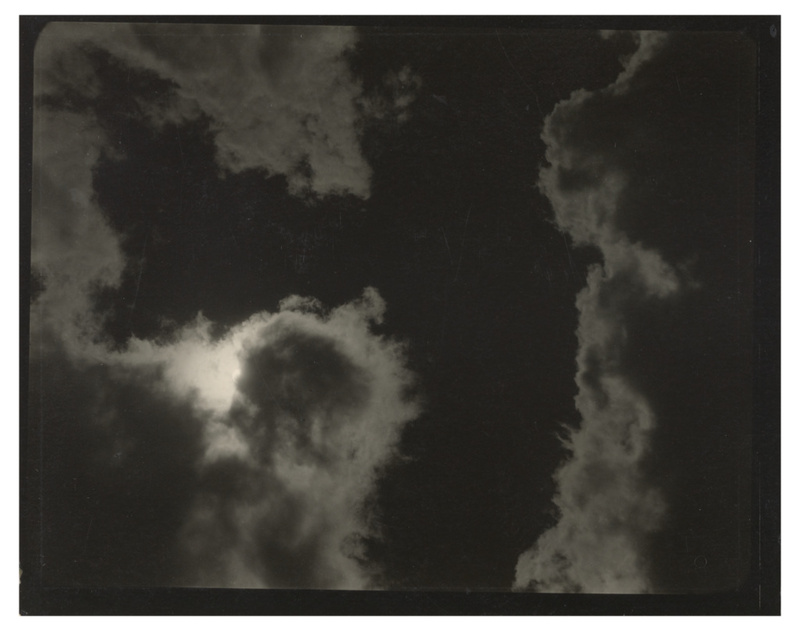 Originally Stieglitz titled them "songs of the sky," but he later came to call them "equivalents of my most profound life experience." The works focus on abstract qualities of proportion, rhythm, and harmony, presenting pure form as music for the eye. Bry, Doris. Alfred Stieglitz, Photographer (Boston: Museum of Fine Arts; New York, N.Y.: Distributed by October House, 1965), pl. 40.